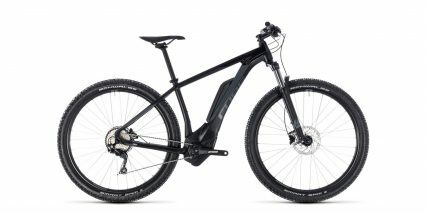 CUBE is a German bicycle brand that built a reputation around mountain bikes. They’ve expanded into North America with a limited number of dealers, bringing some of their flagship models to Canada and the United States. One of those models is the Touring Hybrid Pro 400. 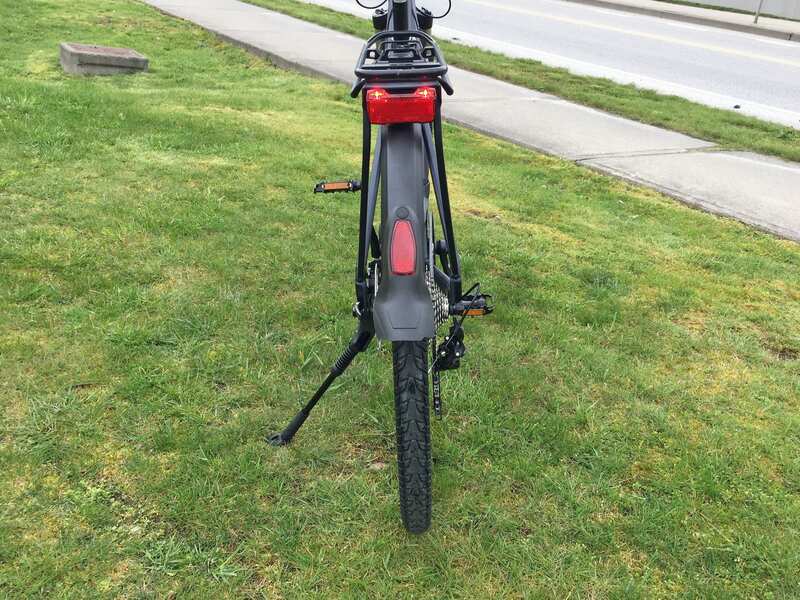 This ebike balances utility against cost by stocking the smaller PowerPack 400 battery and slower 2 amp compact charger, but everything else is upgraded. 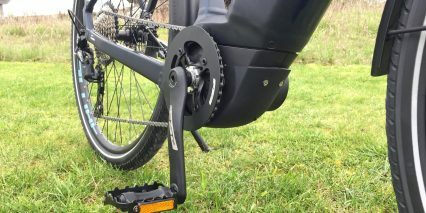 The 10-speed Shimano Deore derailleur has a one way clutch, used to tighten the chain for bumpy or fast riding, which usually only comes with mountain bikes. A wide 11-42 tooth cassette allows you to climb steeper hills efficiently and Shimano hydraulic disc brakes provide excellent stopping power, even if you’ve got 50+lbs of cargo on the rear rack. SKS plastic fenders with mud flaps keep you clean, integrated LED lights keep you seen, and the air suspension fork, suspension seat post, gel saddle, and ergonomic grips improve comfort. 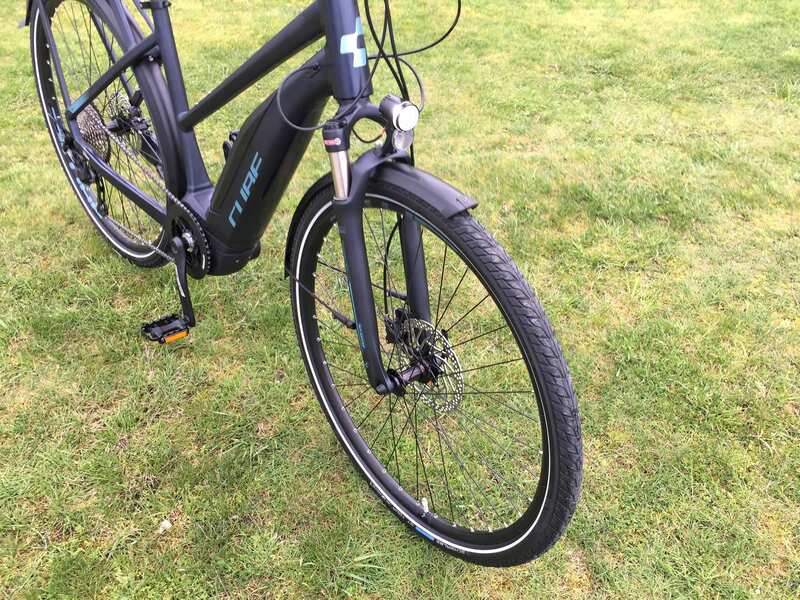 This electric bike delivers a lot of efficiency with 700c wheels that have a lower attack angle and slick Schwalbe touring tires that have puncture protection and reflective sidewalls. The rims use reinforcement eyelets to handle more weight without cracking over time, the chainring has a sturdy alloy guard that protects pant legs while keeping the chain from dropping. I love how they were able to squeeze in bottle cage bosses and hide the battery with a proprietary plastic covering. 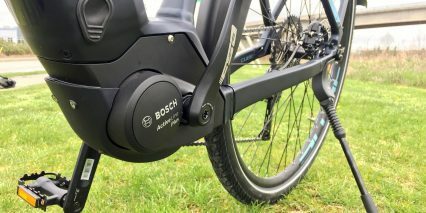 Bosch now has PowerTube batteries that completely hide inside of downtubes, but they weigh more and usually aren’t as cross compatible between ebike models. I love the PowerPack 400 and 500 because they are interchangeable and less expensive to replace. 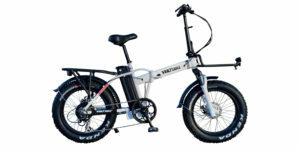 Weighing in at roughly 52lbs, this ebike is available in five sizes and three styles. The step-thru is very approachable but not as stiff. 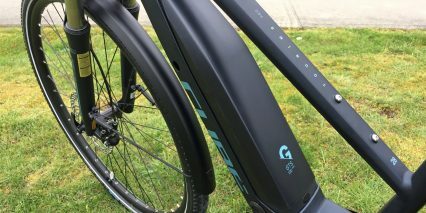 The battery interface is vertical, just in front of the seat tube, vs. the sunk-in downtube design on the high-step and mid-step. My personal favorite is the mid-step because it balances frame stiffness and power transfer against lower standover with easy mounting. 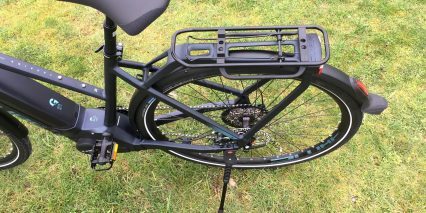 For those who intend to hang the bike on a car or bus rack, or pick it up and carry on your shoulder, the high-step is a great option. All three models have quick release wheels. 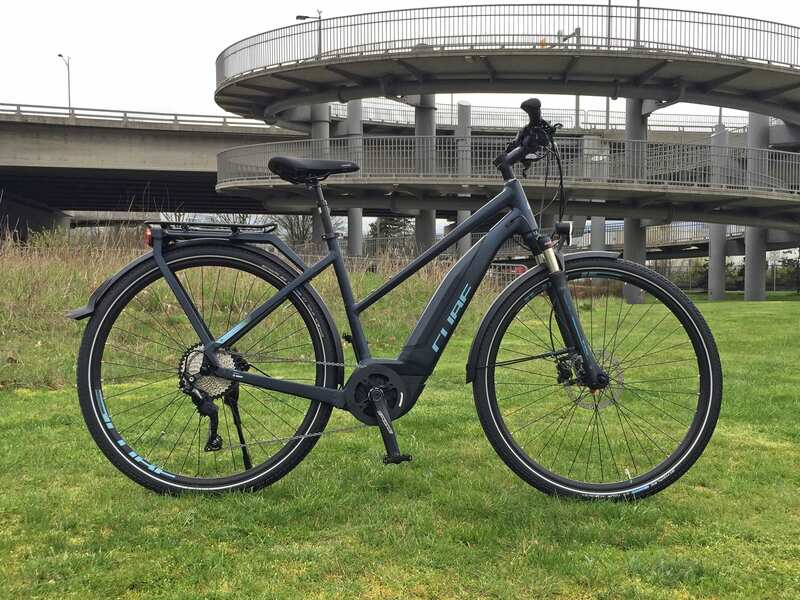 While reviewing the bike with help from Jason of Cit-E-Cycles in Langley Canada, we also showcased a CUBE Cross model that utilized the same frame. That product was a bit lighter, because it lacked the rack and fender accessories. 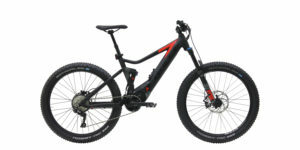 It utilized a spring suspension fork vs. air and had cross tires vs. city slicks. It’s interesting to see how CUBE leverages their frames to perform in different environments, and how some models only comes in one color choice. The Touring Hybrid Pro 400 looks great in dark blue with all black accents, all the way down to the spokes. 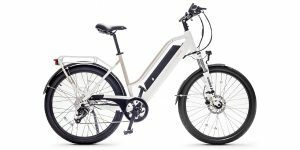 It’s not the most affordable electric bike at $3.4k, but it comes with an excellent warranty, is built with leading components, and was thoughtfully engineered for performance and durability. 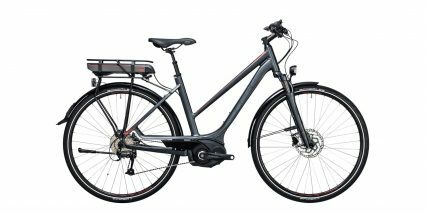 Driving the CUBE Touring Hybrid Pro 400 is the new Active Line Plus motor from Bosch. 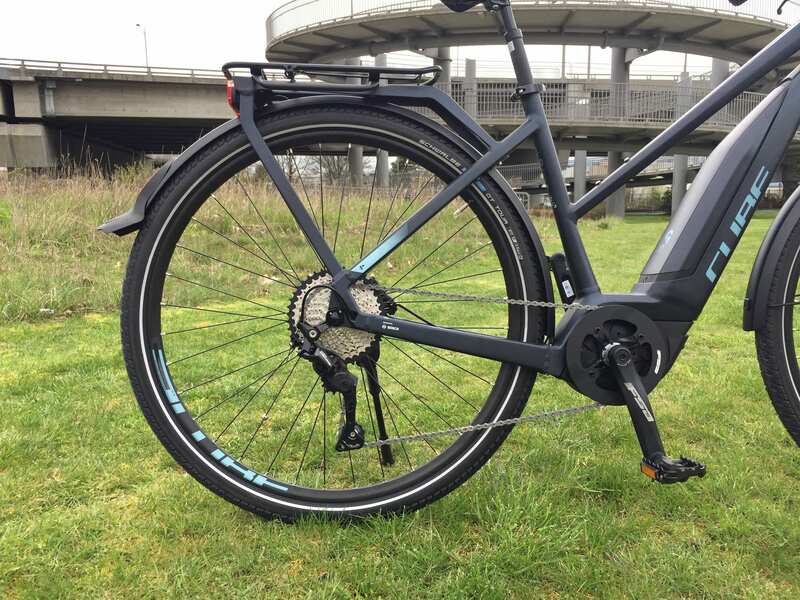 It weighs nearly one pound less than the Performance Line motors, is more compact in size (hiding behind the chainring beautifully), and operates without producing as much noise. 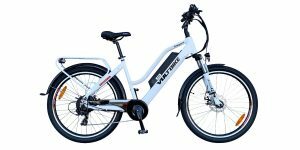 It’s a good fit for a bicycle like this, offering higher 105 rotations per minute vs. just 100 from the entry Active Line motor. 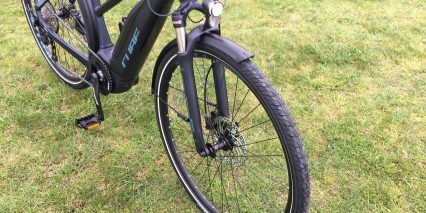 You get slightly lesst torque, about 50 Newton meters peak, compared to the Performance drive units but it still climbs well if you shift gears thoughtfully… and with 10 gears to choose from, the bike is very capable. It really compliments the lightweight efficient design of the bike itself. All Bosch mid-drive units offer shift detection, to reduce mashing and drivetrain wear. 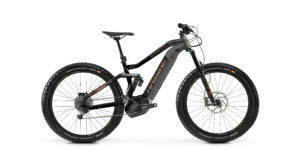 The motor controller measures rear wheel speed, pedal cadence, and pedal torque, over 1,000 times per second. I’m told that it listens for actual pedal pressure and is able to separate out shifting pressure to then cut power and ultimately reduce mashing, where the chain and sprockets can grind or slip. 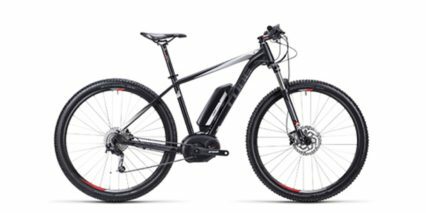 This motor also uses a traditionally sized 38-tooth chainring vs. the smaller proprietary sprocket on the Performance Line motors, which uses a reduction gear and introduces some friction when pedaling unpowered or above the 20 mph top assisted speed. In short, even though this is the less expensive, less powerful motor, it actually performs quite well and delivers a few unique advantages. I noticed that it started and stopped very quickly during the ride tests and was able to pedal backwards, actually feeding the chain in reverse, which can be useful for drivetrain adjustment and servicing. 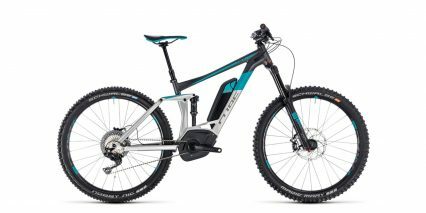 Powering the CUBE Touring Hybrid Pro 400 is a… surprise! 400 watt hour Bosch PowerPack. This thing is proven, very well designed, and the mounting interface is forward compatible with the newer PowerPack 500 battery that offers 25% more capacity. Both packs are built into the same plastic casing which has an LED charge level indicator on the left side, a molded plastic loop at the top, and a proprietary charging port at the base. You can charge these packs on or off the bike and they only weigh 5.4 lbs and 5.7 lbs respectively. They are awesome in most ways, but not as hidden or sleek as some of the newest designs… again, they weigh less and are easy to rent or buy. CUBE really nailed the integration here, sinking the battery into the frame a bit to lower weight distribution and help it blend in. 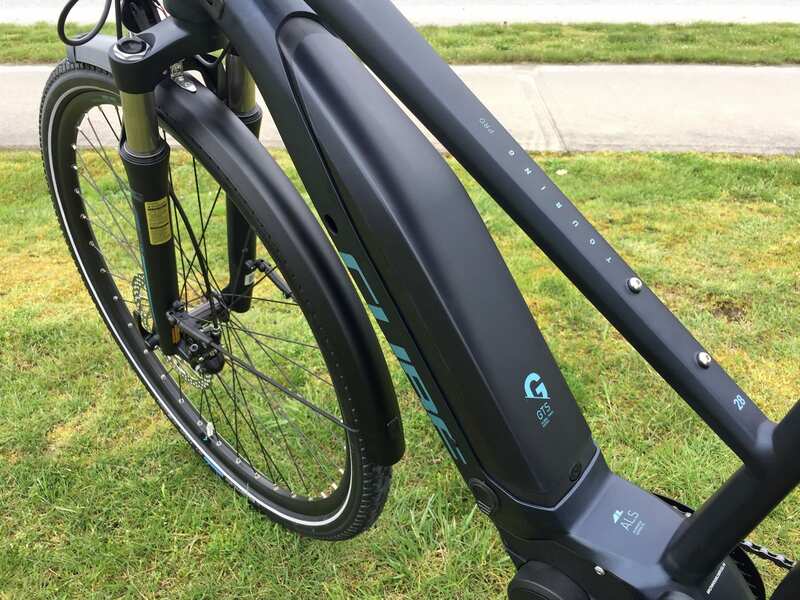 Most of the cables on this ebike are internally routed, but still accessible from the battery bay, when you remove the plastic cover and battery pack. The cover is paint matched and clicks into place on the downtube (only for the high-step and mid-step frames) but does not lock. Just like the display panel, this part can be removed for safe storage, but then dust and debris can get into the battery bay. 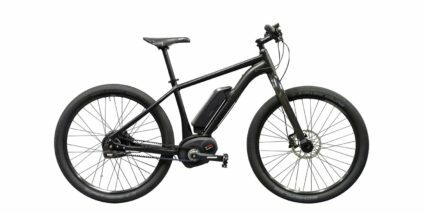 I appreciate how compact and lightweight the charger is… but believe that you get the slower 2 Amp charger with this bike. 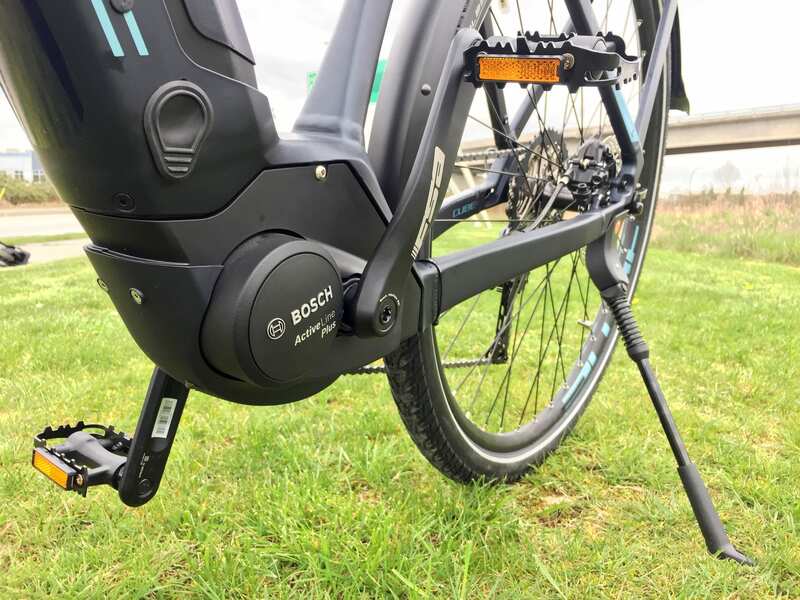 Bosch also offers a 0.3 lb heavier and slightly larger 4 Amp charger but seems to be including those with the higher-end bikes now. This faster charger may come with higher priced versions of the Touring platform. 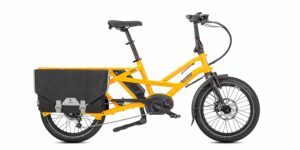 Indeed, this would be a decent touring or trekking platform, but in those cases I would probably want to bring an additional battery pack and faster charger to keep the ride moving… or simply pedal in lower levels of assist to extend range. The display panel used on this bike is one of my all-time favorites. Bosch has several models available, but the Intuvia is large and easy to read. It is removable to prevent tampering and damage… or you can use the security screw to more permanently attach it to the plastic mount. THere’s even a Micro-USB port built into the right side, so you could maintain a smartphone for GPS on longer rides in new locations. I really appreciate how easy and intuitive this display panel is to operate, and I have made a video guide with more detailed steps here to explain the deeper settings, such as changing units from miles to kilometers. The basic steps are to turn on the display by pressing the power button at the top left, and then click the up, down, and i buttons using the remote button pad located near the left grip. This pad is easy to reach, and can be operated without looking down because the i button is raised and rubberized. It separates the up and down arrows and clicks as you press, giving you a tactile guide to know what’s happening when you cannot see. 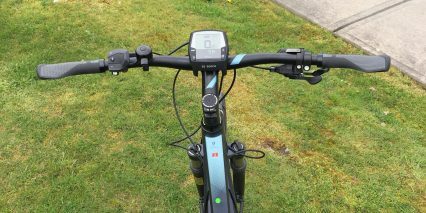 Shifting gears is also fairly comfortable; the trigger shifters are only on the right side of the handlebar, tucked below the grip neatly. Shimano offers two-way high shifter levers and a multi-shift low lever for quick adjustments to pedal cadence. 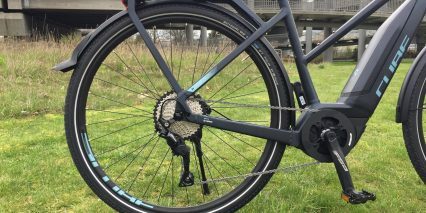 This is a nicer drivetrain, and remember that the one-way clutch will tighten the chain, reducing chain stay slaps and noise. 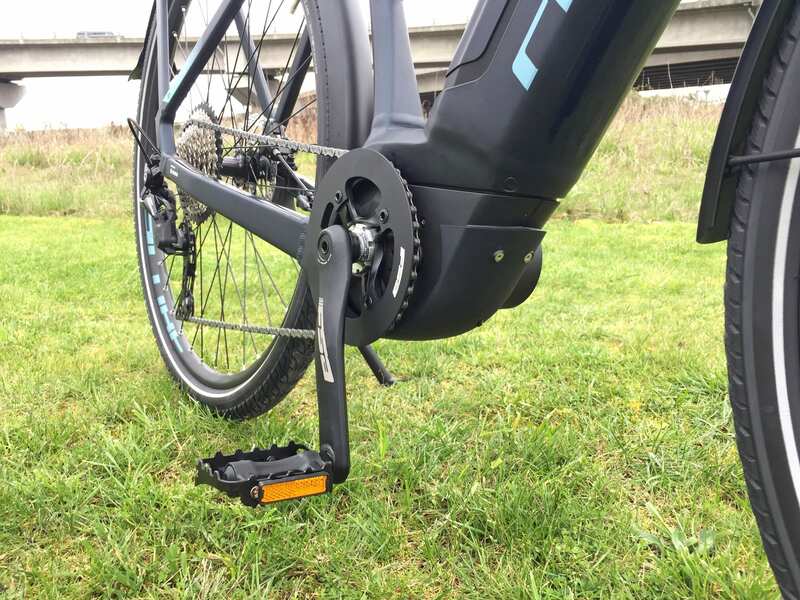 CUBE has included a clear plastic chain stay protector in the event that the chain does slap, and you can always click the one way clutch into a down position to loosen derailleur tension for rear wheel service. The Touring Hybrid Pro 400 comes with very nice brakes from Shimano, and I want to point out that the front rotor is larger 180mm vs. the standard 160mm size in the rear. The larger rotor provides a mechanical advantage and increased cooling, weight usually shifts forward when stopping, so that’s why they opted for a larger rotor in the front vs. rear. The brake levers offer adjustable reach and should be equally easy to pull because they use hydraulic fluid vs. long metal wires. So much of this bike was designed to withstand water and dust over time, hydraulic brake lines won’t gunk up and the sealed headset and bottom bracket won’t rust and creak as readily. 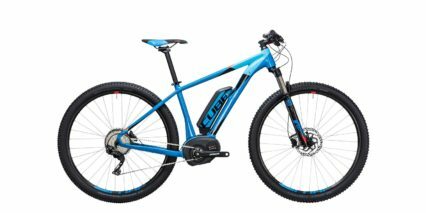 Ever since I first discovered and began reviewing CUBE electric bike products in 2015, I have been impressed with their quality and value. It was neat speaking with Jason, the shop manager for Cit-E-Cycles, getting some hands-on help and insights for this review. He attended a year long bicycle school in Canada and really knew his stuff. We had some fun comparing two CUBE models back to back and really going deep on the technical specs and configuration. The rear rack design really stood out here as being strong. 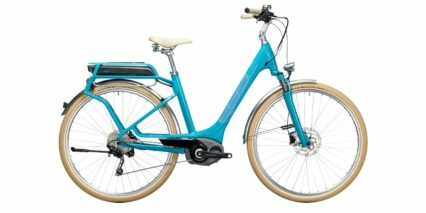 The integrated light probably won’t get disconnected as easily, the rear fender won’t rattle as much because it’s connected to the rack supports, and the standard gauge top piece will work with more pannier and bag accessories. 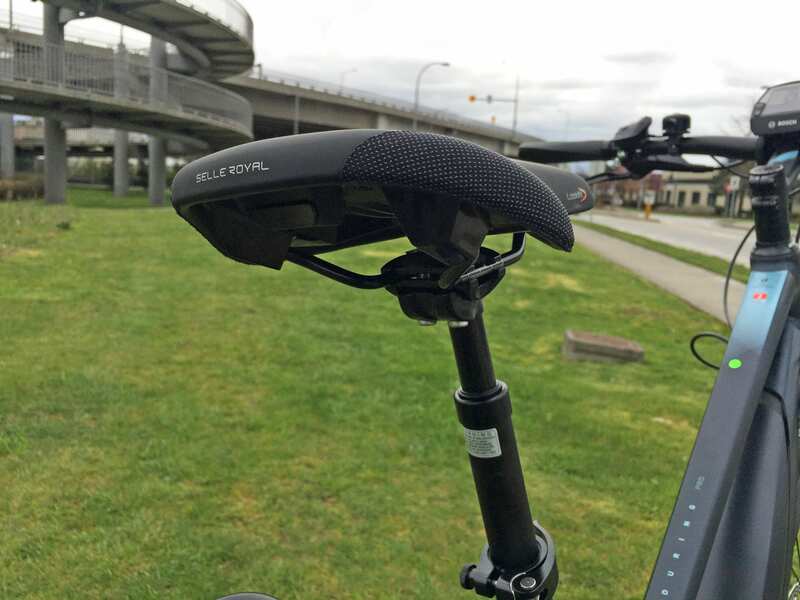 It appears that the saddle can also be lowered all the way without colliding with trunk bags, and for those who need the absolute lowest saddle position, consider swapping out the 27.2mm suspension post for a rigid post like one of these. One thing the bike does lack is a full protection chain cover, and this might have been skipped to reduce weight and rattling… the alloy guard does an acceptable job keeping pants protected and cleanish. 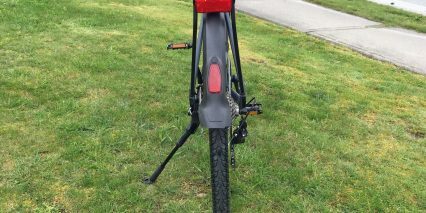 Note that if you are considering the Touring model vs. the Cross, which uses the same frame, you will not get an adjustable length kickstand and I didn’t see rack bosses there. I suspect that it would be easier to swap the slick city tires her for some gravel ones if you intend on carrying any loads. 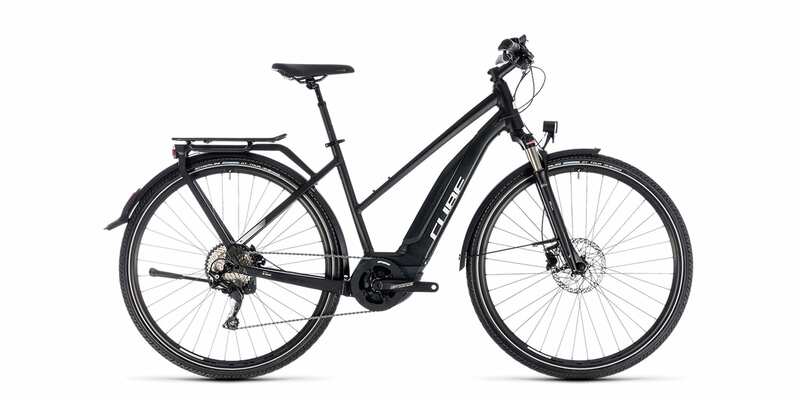 Big thanks to CUBE and Cit-E-Cycles for partnering with me on this review. 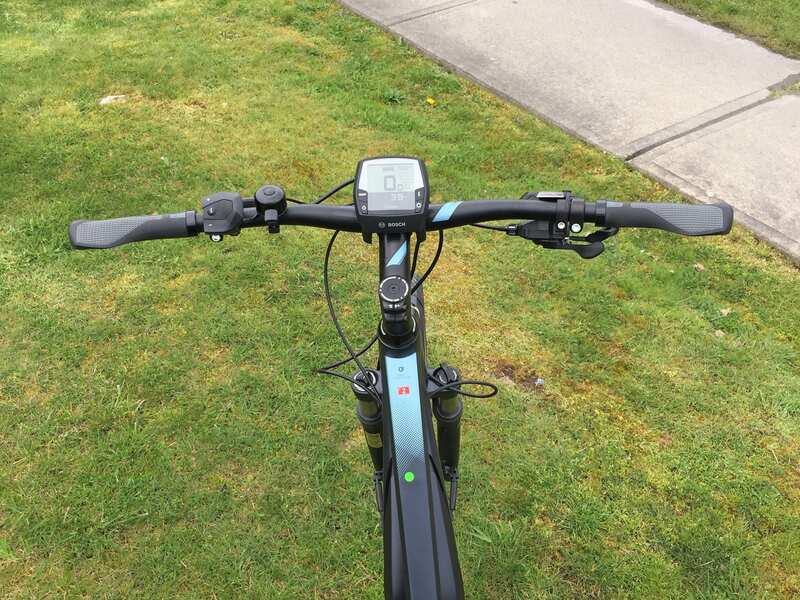 I welcome comments and feedback below or you can hop over to the CUBE ebike forums and connect directly with other owners and share pictures etc. Would love if you could do a steep hill climb test on all of your reviews. 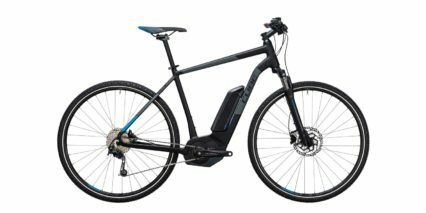 I live in hilly Cincinnati and would like to know which bikes would be able to handle, steep hills above 5% grade. Great review! I am actually considering this exact bike as it’s on sale here where I live. However, I’m afraid it would be a downgrade from my current STEPS E6000, power wise. I know that, on paper, Active Plus is about as powerful, but I have heard that in real life, E6000 feels a bit more powerful in climbs. I assume you have tested both of these motors, so I would very much appreciate your input. Great review on a bike that seems to have all my requirements. One question: Should I be concerned about the battery enclosure trapping excessive heat? I will be riding near the coast in Southern California but may take it on desert rides. Thank you for the really thorough review. 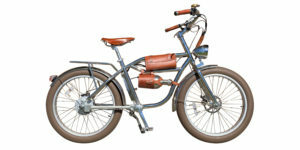 I am trying to decide between purchasing this bike and the lower cost RadCity from Rad Power. 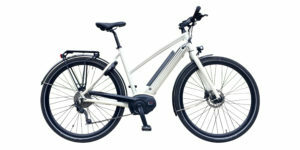 My goals for an ebike is to shorten my commute time to work while still getting a decent workout. 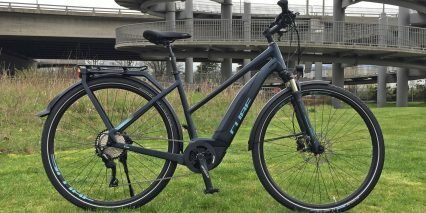 I have tested this CUBE bike out on my 16 km commute to work and I like how quiet it is and how much it feels like riding a regular bike thanks to the cadence and torque sensing of the Bosch motor. It feels like the amount of assistance I get is directly proportional to the amount of effort you put in and I feel I can still get a decent workout while cutting my commute time. There isn’t a Rad Power shop in my city so I haven’t had the opportunity to try out the RadCity but I did watch your review which seemed quite favourable. 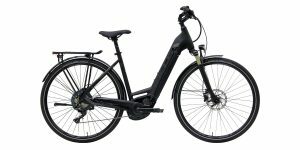 The lower price is certainly appealing, but I want to ensure I don’t purchase an ebike that does all the work for me–I don’t want a scooter! How different is the feel of a cadence sensing motor like this one vs the Bosch? Can you still get a decent workout while making good time with a RadCity? Is a throttle a nice perk to have? Thanks for your insight! Hi Aimee! 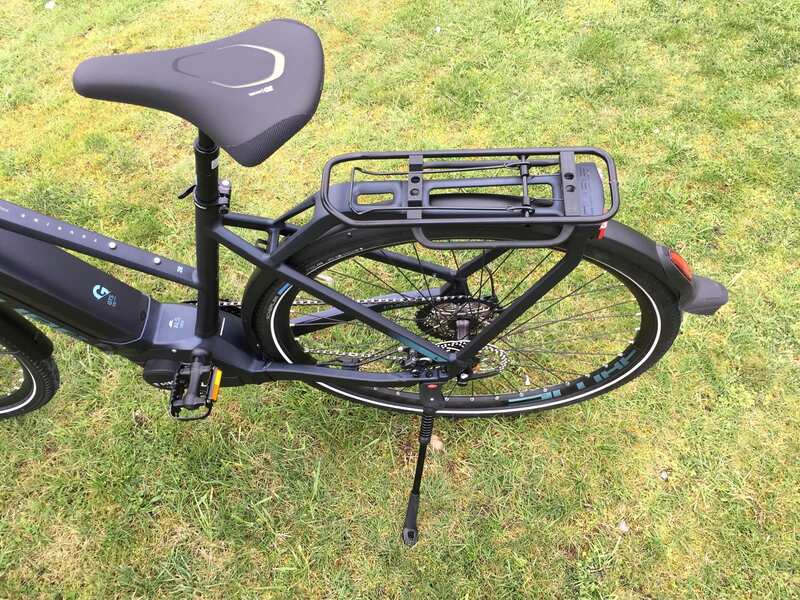 The way you described your test ride on the CUBE gave me the impression that you’re sensitive and insightful. 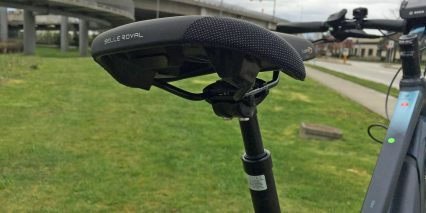 There definitely is a difference between this product and the RadCity because it weighs more, tends to be less responsive, and does end up riding a bit more like a scooter. I understand that price is a big factor in decisions like this. If price was not an issue, I would definitely go for the CUBE. I trust and like Rad, but I’m a sporty rider who enjoys the feeling of cycling. 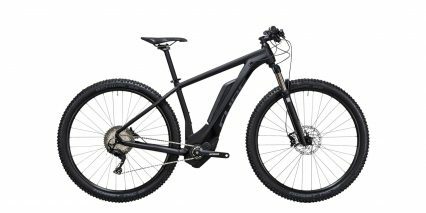 Even with the higher cost, I’d probably go with the CUBE or a Haibike, or Bulls or any other brand with a nice mid-motor. This CUBE will probably last a long time, will be legal in more places (since it’s Class 1 with no throttle), and I like the accessories and look better as well. That’s my feedback, hope it helps you… and ride safe out there! I hope I see you on the trail someday because it looks like you might be in Canada too! What part? Nexus internal gear, more upright handlebars. There are some 9 different versions (3 frame styles, ‘pro’, ‘exec’, ‘sl’ versions) but the Cube website does not have a ‘compare’ option. I was hoping you would review one of these in the near future, and maybe explain the different options. Don’t know if all styles are available in North America (I’m in Ontario, Canada). Hi Camiel! I like your name :) Yeah, I’m hoping to review more CUBE models in 2019 and agree that all of the skews can get a little bit confusing. It sounds like you’re getting a handle on things, perhaps you could share your thoughts in the CUBE forums and others would chime in. I hope these existing reviews help to guide you. 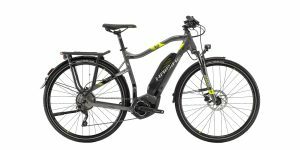 There may be a similar product from a competing company (with similar frame style, motor, battery etc.) that you could find here to compare as well. I am thinking of buying the trapeze version having seen this review. I like the ability to step on to the bike but not sure whether the 54cm frame would be big enough for my 6 foot height and 33/34 inside leg. I would love to know what the number 28 stands for which is painted onto the trapeze down bar? Any idea? It clearly is not size.